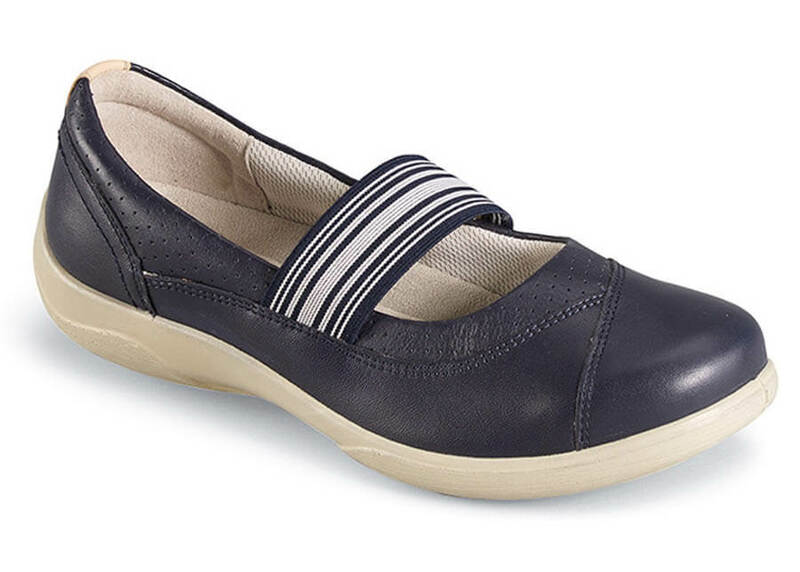 The 3E-wide “Jade” mary jane from Padders of England has a little extra toe room for those who need it, well-padded textile linings, a removable comfort insole that allows for fit adjustment and an attractive striped elastic band to hold the foot securely. 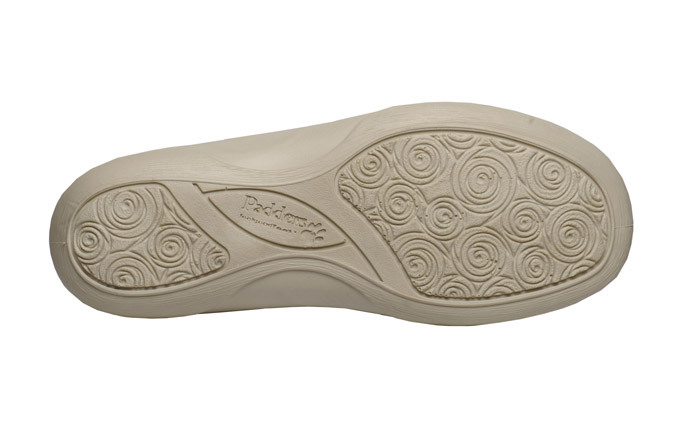 The ergonomic polyurethane outsole has shock-absorbing cushioning built in. Made in U.K. sizes to fit U.S. women's sizes 6–9, 10, 11 in 3E width.